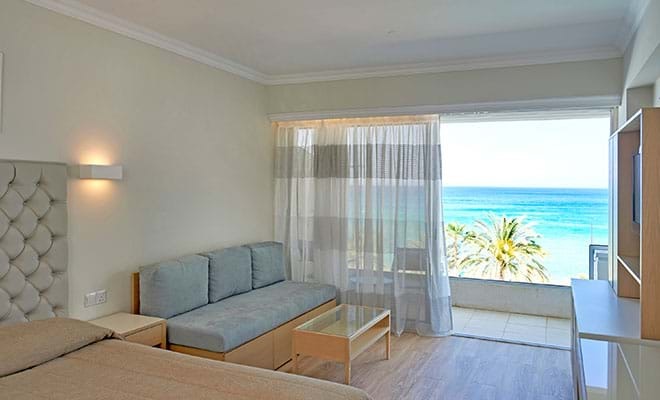 The Superior Sea View Rooms offer stunning views of the clear blue sea below. These rooms are elegantly designed featuring furniture made from natural light oak wood and complimented with soft textured fabrics. 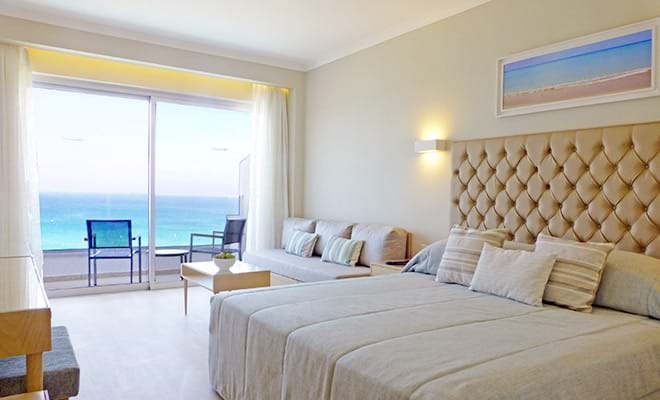 Superior rooms are generously equipped and offer such benefits as Tea & Coffee making facilities and complimentary Wi-Fi access. 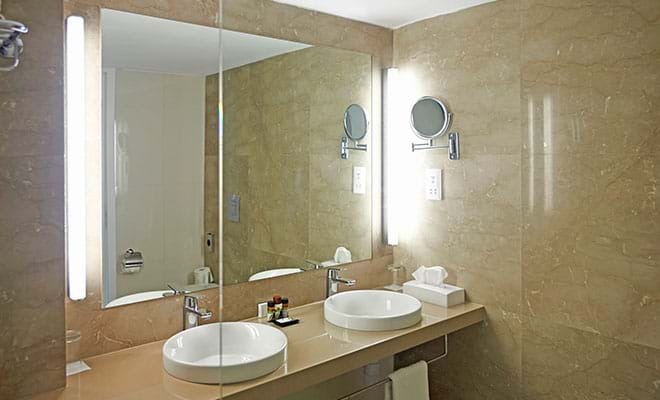 The luxurious bathroom features fine Italian marble and two elegant washbasins, rain shower system, complimentary use of bathrobes and toiletries.